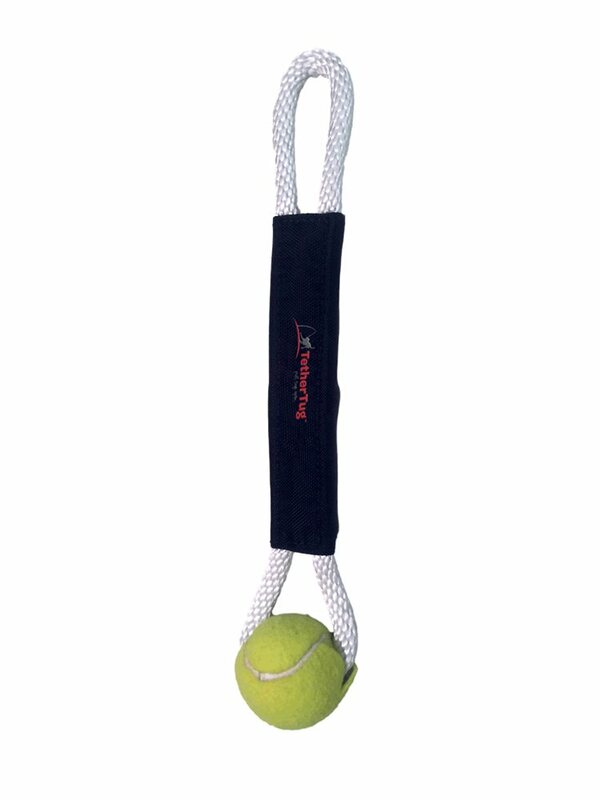 The Tennis Ball Plus Toy is designed for use with the Tether Tug Outdoor Dog Toy. The Tennis Ball Toy is made for medium to large dogs to easily grab and pull the Tether Tug. The Tennis Ball Plus Toy is made of 100% cotton and is durable to help withstand tough chewers!